This guide documents aspects of access control with Red Hat 3scale 2.3. 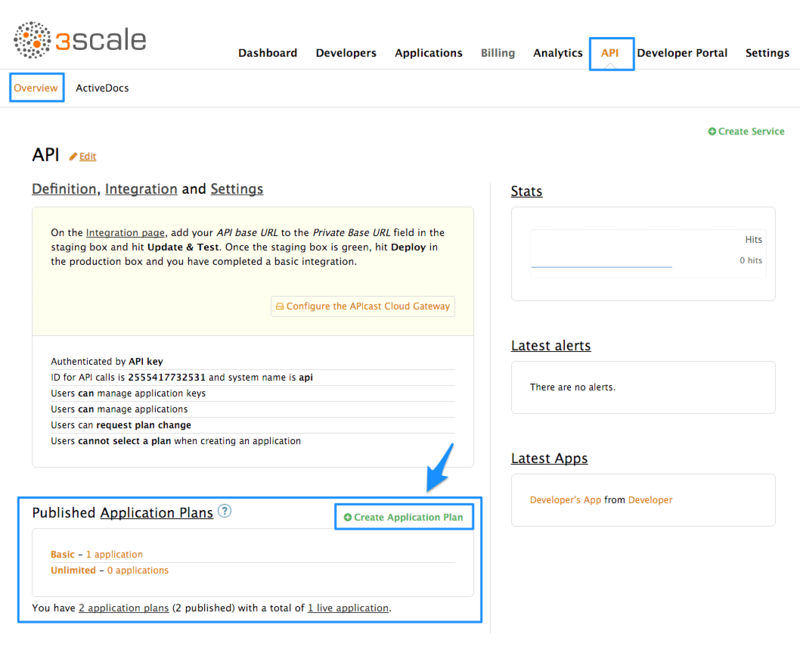 In this section you will learn how to define your API on 3scale. In order to do so, you’ll need to add your methods and metrics manually on the API > Definition page of the 3scale admin portal, or create them automatically by importing your API specification. Metrics let you track the usage of your API in 3scale. Hits is the built-in metric, it exists in each API service and is used to track the hits made to your API. You can achieve finer granularity for the API usage tracking by defining Methods under the Hits metric. Reporting traffic to a method will increase counters for the method and for the Hits metric automatically. You can define separate methods for each endpoint of you API, or a combination of endpoint and HTTP method. See Mapping rules section to learn how to map the endpoints of your API to the methods defined here. 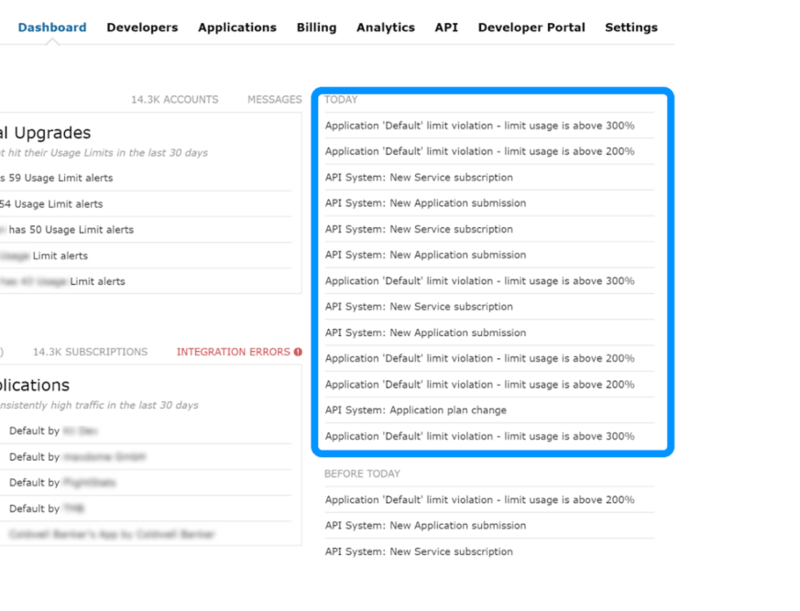 Navigate to the API > Definition section of the Admin Portal. These new methods and metrics will be available in all your current and future plans. You can now edit limits and pricing rules for them on each plan going to API → Application plans → [Plan you want to edit]. In the next screen, pick a name and a system name (system names must be unique) for your new plan. 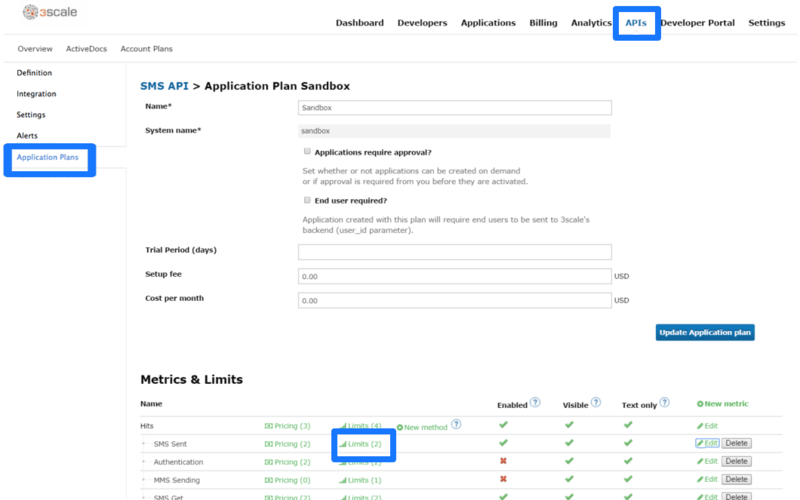 If the ‘Applications require approval?’ checkbox is selected, no applications will be able to access your API without approval. 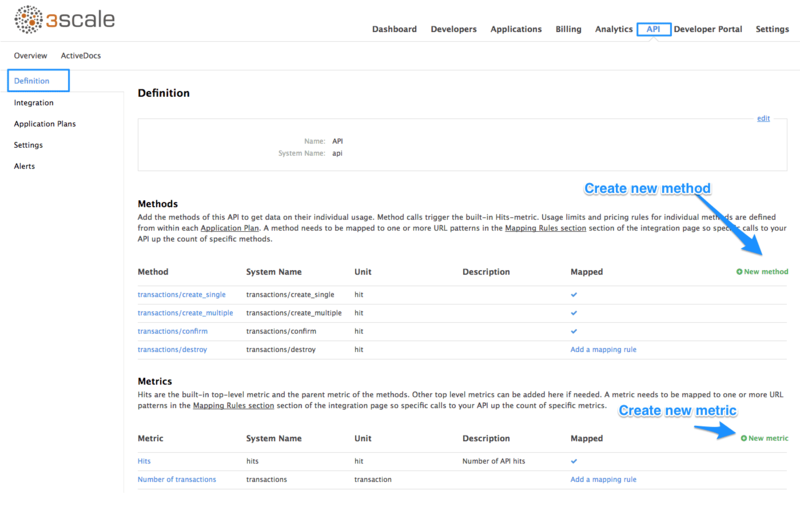 After you define your API creating methods and metrics, you can map your API endpoints or paths to the methods you’ve just defined in the Definition page. 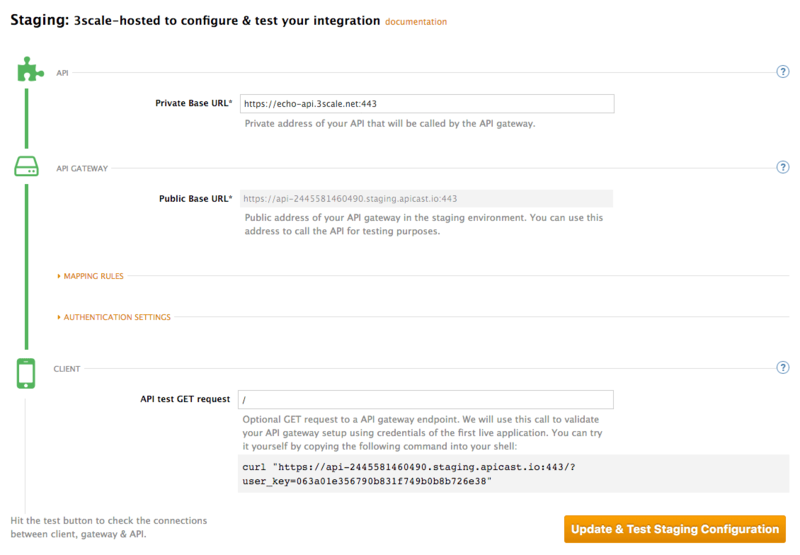 In order to do so, go to API > Integration and open the Mapping rules section. Choose the HTTP method, available on the specific endpoint path, and select the equivalent method to map against. Different operations (GET, PUT, POST, DELETE, etc…​) on the same endpoint can be tracked separately. 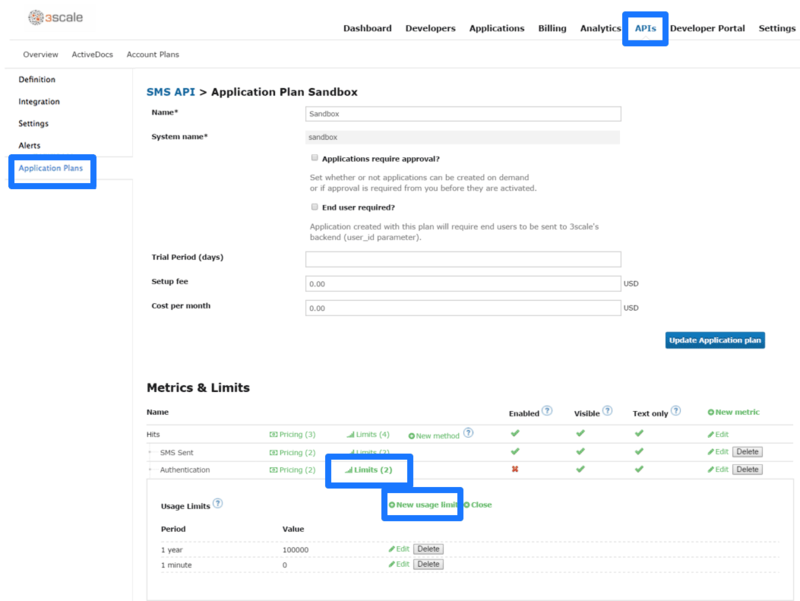 Once you have rate limits in place, these limits will control the responses a developer receives when they make authorization request calls to 3scale’s backend. If you don’t have an application plan defined yet, create one first. Otherwise, select the plan you want to set rate limits for and click “edit”. When you’re finished setting the limits you want, make sure to save your changes by clicking “Update Application plan”.